Have you noticed how people are often terrified of therapy? Some people see it as a punishment, some think it's because they are 'broken' and need fixing, some seem to think we're going to judge them, or be patronising, or tell them what to do, or even make them do something they don't want to. Maybe they think they've done something wrong, or they have failed, or that because they are struggling, it proves they aren't enough. There's a fear that somehow, we can access all their deep, dark, innermost secrets just by chatting with them! If people - our potential clients - think this is what counselling is, then they simply won't want to come. So does therapy need a rebrand? It stands to reason, doesn't it? If they feel like they're standing in front of the headmistress and being made to feel small because of their misdemeanours, they'll run for the hills! They need to be reassured that it's safe to talk about whatever they have going on. With this in mind, think of your directory bios, your website, your social media, your blogs - do they show your warmth, or a list of qualifications and ​psychobabble? 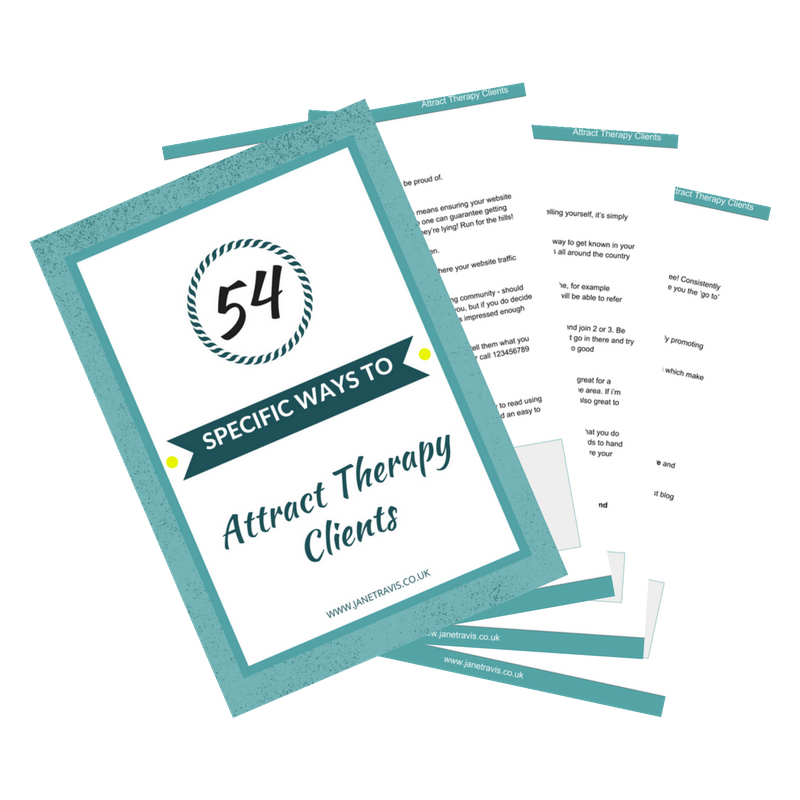 Tip: When writing marketing material, imagine you're talking to someone specific - maybe a client you've had, or someone that'd be your ideal client. Your writing will be more personal. How are therapists portrayed in the media? Well, as you lie on a couch, they look at you over their glasses whilst writing on a clipboard. A bit clinical, holier than thou. And Frasier - great show, but he's a pious snob! The therapists I know do their best to make the client feel comfortable, accepted, valued, understood. Counsellors are just people - warm, caring, kind people, and that's why it's vital to let your personality show through your blogging, social media and other marketing. If you seem friendly, warm and approachable people will be more likely to pick up the phone and get help. Therapy isn't for everyone I know that. But there are a lot of people out there that would really benefit from counselling but are just too scared to reach out. So what do you think? Does therapy need a rebrand?